The Wonderful Story of Britain: Mary Queen of Scots. 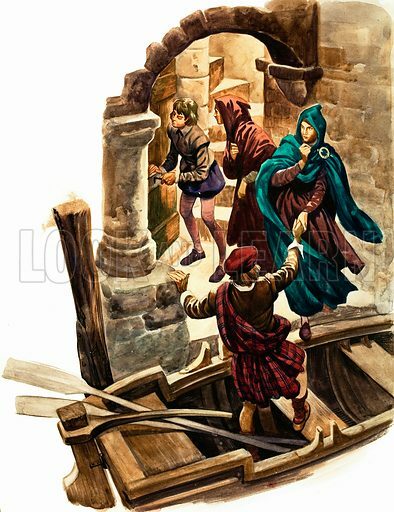 One of Mary's followers has stolen the keys to the castle and lets her out. Original artwork from Treasure no. 94 (31 October 1964).